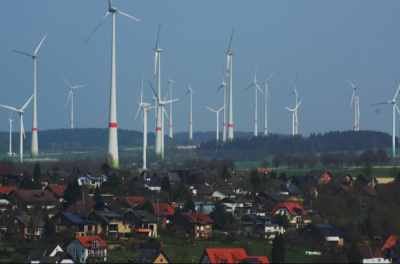 Will Germany’s Winter Wind & Solar Power Collapse Mean the End of the ‘Energiewende’? STT has a ‘thing’ for the English language. In the hands of adept practitioners, our mother tongue is capable of conveying all manner of complex concepts and ideas, and doing so with verve and wit. However, in the hands of the well-paid spin doctors and useful political idiots that run with, and run cover for, the wind industry, the English lexicon has been forced to suffer all manner of outrageous torments and abuses. One such victim is the word “transition” and its derivatives. Politicians of all hues appear to throw that word around with gay abandon, whenever talking about their efforts to foist a heavily subsidised wind powered ‘future’ on their hapless constituents. As South Australia’s power pricing and supply calamity unfolds, we are repeatedly told by State and Federal politicians alike that this is all part and parcel of “transitioning” to an all renewable powered future.